The large diameter integrating sphere (LDIS) measures total visible transmittance of complex light redirecting/diffusing samples with large scale non-uniformity. 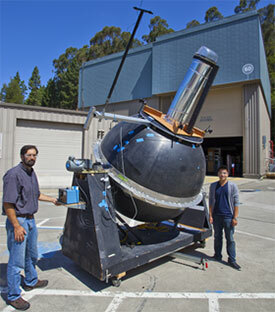 The instrument is a sphere 6.5 ft (2 m) in diameter with up to 34 inch measurement aperture (11-15 inch typical). 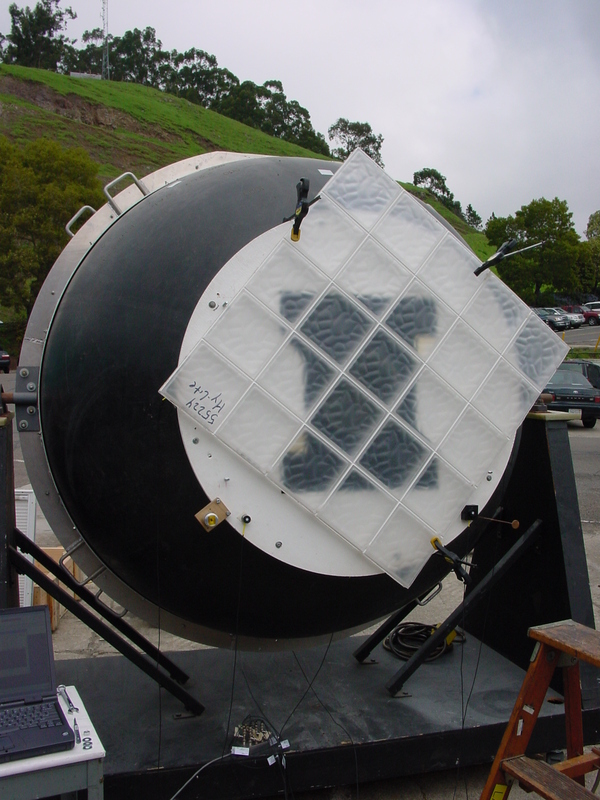 The integrating sphere has been used to develop measurement standards for characterization of tubular daylighting devices.